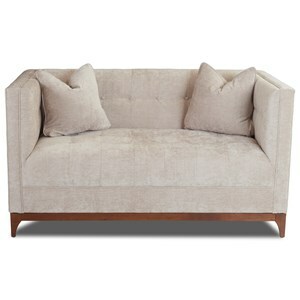 Perfect for snuggling up with a loved one, this stationary loveseat is a cozy and comfortable lounge piece. 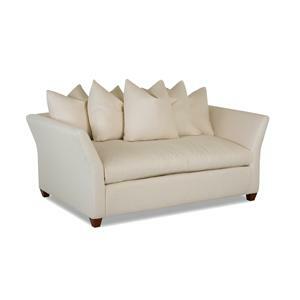 From its padded back and arms to its plush box-faced seat, this small sofa offers soft support at every angle. 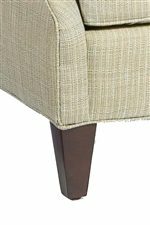 Framed by clean lines and tapered wood legs, its casual-contemporary style is softened by an upwardly sloped track arm on each end. 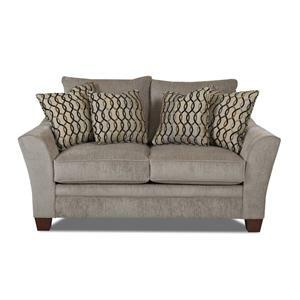 With the addition of two decorative accent pillows, you can jazz up this item's style with an extra touch of comfort and design. 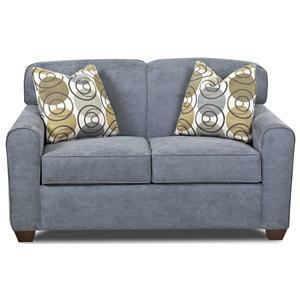 The 5706 Casual-Contemporary Stationary Loveseat by Fairfield at Stuckey Furniture in the Mt. Pleasant and Stuckey, South Carolina area. Product availability may vary. Contact us for the most current availability on this product. 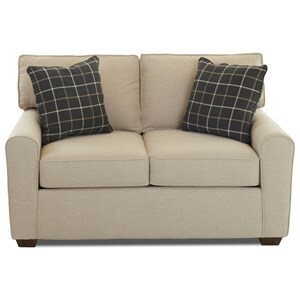 Length (depth) with Sleeper Open 24"
Create a casual-contemporary living room setting with the 5706 collection of upholstery furniture. 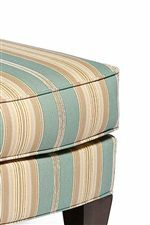 Featuring a stationary loveseat, chair, and ottoman, this collection has enough to furnish a small room with exceptional comfort and versatile style. With each item framed by clean lines and tapered wood legs, this collection will update your home with a fresh, modern vibe. 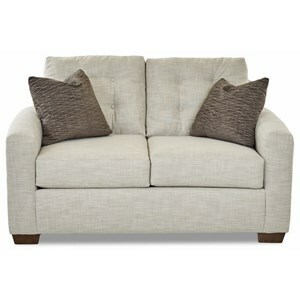 But softened by curved track arms and plush upholstery, this collection's style is also relaxed. 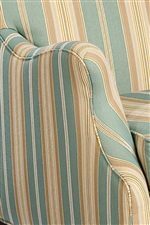 Whether used to furnish your living room or entertainment area, the 5706 collection will be a family favorite for years to come. 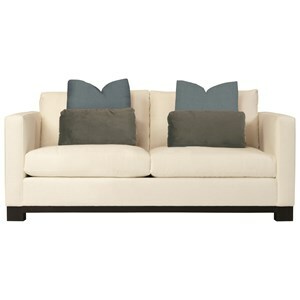 The 5706 collection is a great option if you are looking for Contemporary furniture in the Mt. Pleasant and Stuckey, South Carolina area. 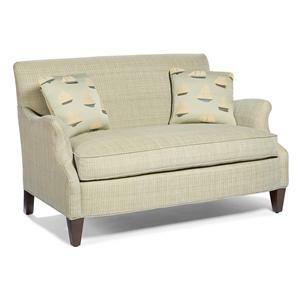 Browse other items in the 5706 collection from Stuckey Furniture in the Mt. Pleasant and Stuckey, South Carolina area.